Home news N29 MILLION SEIZED FROM LAGOS STATE DIRECTOR OF ACCOUNT, COURT FIXES JANUARY 31 TO RULE ON FINAL FORFEITURE. N29 MILLION SEIZED FROM LAGOS STATE DIRECTOR OF ACCOUNT, COURT FIXES JANUARY 31 TO RULE ON FINAL FORFEITURE. Commission (EFCC) has not been able to proof their allegations, stating that he who alleges must proof with fact and not "reasonable suspected" as it was used in the EFCC’s ex parte application. The Lagos Federal High Court In Ikoyi, Lagos, has reserved ruling in the final forfeiture of twenty nine million naira found in the account of a Director of Account, Lagos State Ministry of Public Works Corporation, Anifowoshe Alade till January 31. At today's proceeding, Counsel to the director, Mr. Wole Okeniile, argued that the Economic and Financial Crimes Commission (EFCC) has not been able to proof their allegations, stating that he who alleges must proof with fact and not "reasonable suspected" as it was used in the EFCC’s ex parte application. In response, EFCC counsel, Mr. Rotimi Oyedepo said in view of the failure of the respondent's to filed a counter affidavit to state why the said sum and properties should not be forfeited to Federal Government, all facts deposed to in support of EFCC’s motion are deemed to have been admitted by the respondent. 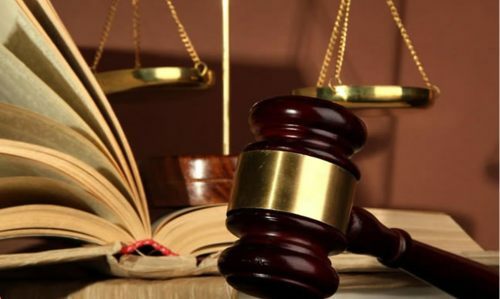 The director of Civil Litigation to Lagos State government, Mr. Saheed Quadri urged the court not to forfeit the said sum and properties to FG, arguing that the said money were diverted from the state’s purse. The court had earlier ordered temporary forfeiture of the money to the Federal Government. Justice Rilwan Aikawa made the order while granting an ex-parte application filed by Mr. Rotimi Oyedepo and argued by Muhammad Idris, counsel to the Economic and Financial Crimes Commission (EFCC). Apart from the said sum, Justice Aikawa also ordered that buildings allegedly belonging to the director be temporarily forfeited to the Federal Government.